Eric C. Evarts January 14, 2019 Comment Now! There's nothing like one car that can do it all. 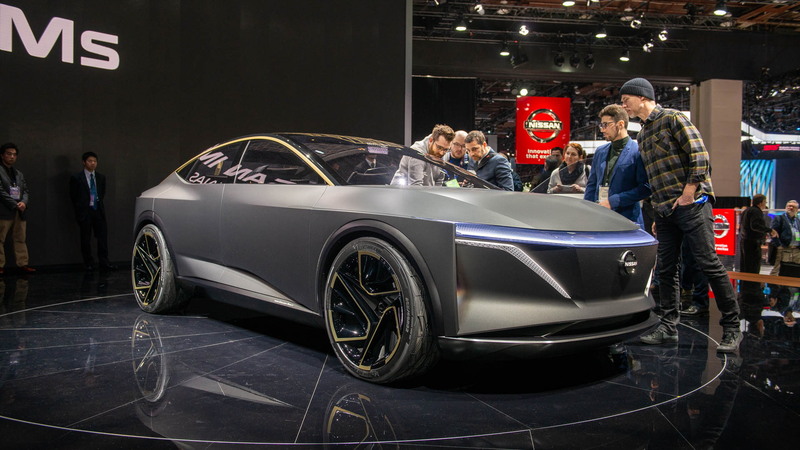 Nissan's IMs electric sedan concept, unveiled Monday at the 2019 North American International Auto Show in Detroit, aims for just that. It sits tall, like a crossover, with five passenger seating inside—unless you're a wealthy magnate who hires a driver and wants to ride in back. Then, the two outboard rear seats fold away to leave a limo-like throne in the back. A long wheelbase—114 inches, comparable to a Kia Sedona minivan or a Ford Crown Victoria—enables the traveling magnate to stretch his or her legs and even use an ottoman in the back. It also allows an especially big battery for a car that overall isn't any longer than a Nissan Altima. Its 115-kilowatt-hour battery is expected to give the IMs 380 miles of range. It's a good thing, because Nissan doesn't specify how fast the car can charge. That battery pack is also thick under the car, giving it its elevated ride height. It rides on big 22-inch wheels, with adaptive air suspension and various driving modes, so the IMs may be intended to have at least some off-road ability. The IMs gets all-wheel drive via an electric motor on each axle, producing a total of 483 horsepower and 590 pound-feet of torque. 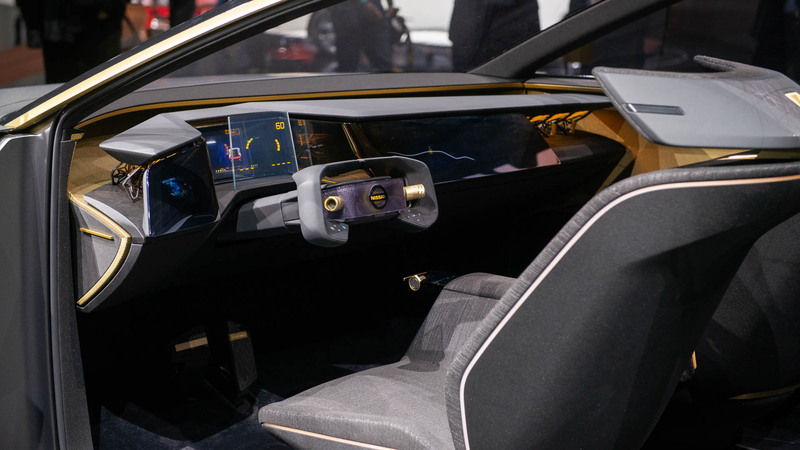 Following the latest upcoming trend, it includes a huge, two-layer instrument-panel screen, made up of four smaller panels, that can show typical instrumentation as well as a 3D augmented-reality view of the car's surroundings, which Nissan calls Invisible-to-Visible, or I2V. 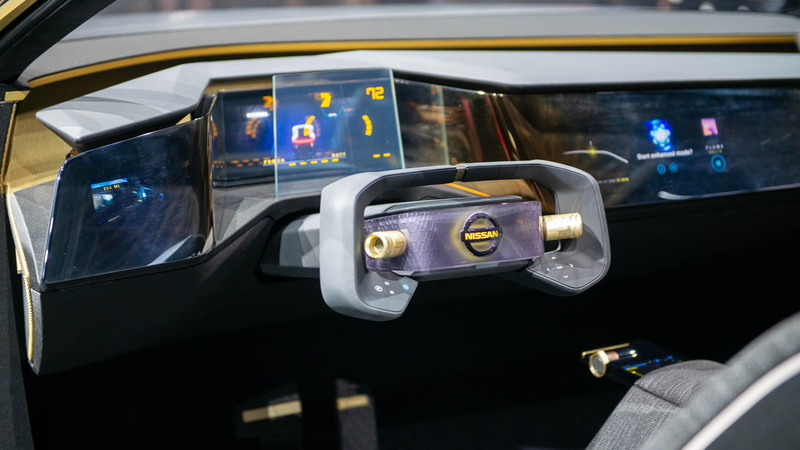 Nissan says the interface follows the natural movement of the eye, and will allow drivers to see around corners and determine alternative routes around traffic jams, no matter what their cause. 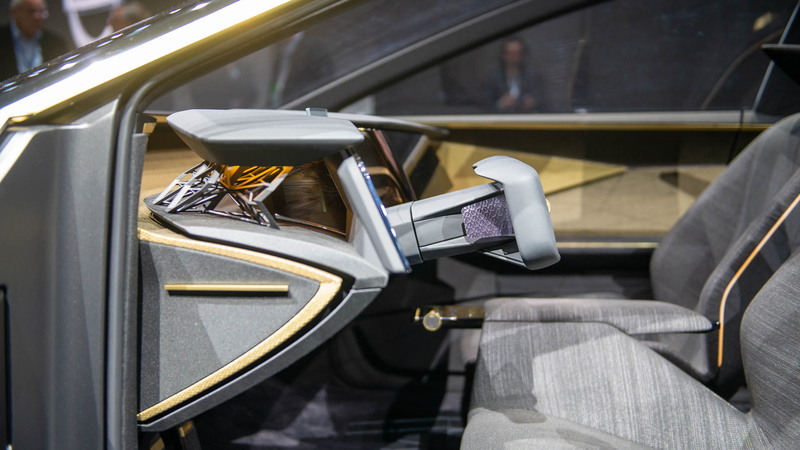 The IMs is designed for self-driving, with pedals and a steering wheel that fold away to allow the driver to sit back and relax under conditions when the car can drive itself. 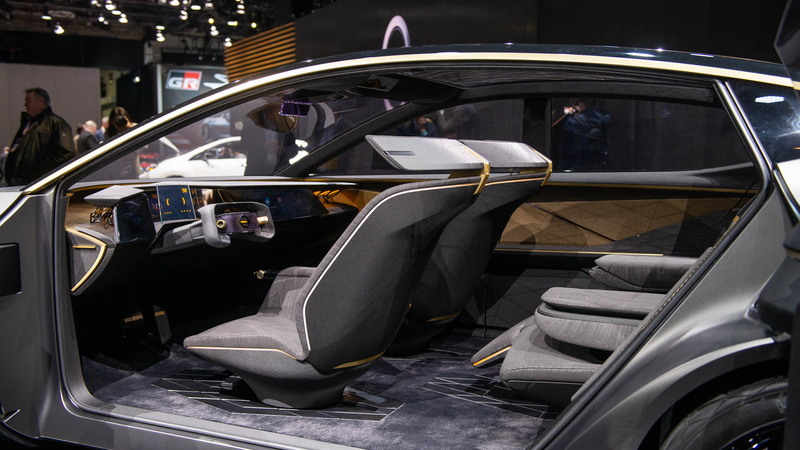 The front seats swivel to turn the car into a rolling lounge when it can drive itself. Exterior styling sets a new trend for Nissan, breaking with the company's most-recent "floating" roof design and heavily sculpted sheetmetal. Nissan designers are aiming for cleaner looks with simple surfaces and taut edges. The pillarless cabin with rear-hinged doors, however, are unlikely to make it to production.